Students may visit concessions/restrooms once each half. 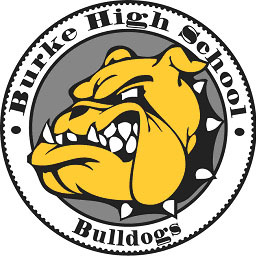 All students should sit with the band until we play the school song after the game ends at which time we will load the buses and return to Burke. ADMISSION: Admission will be paid in advance, but we all must enter the stadium together and if a student is late he/she will have to pay admission. Be sure to wear coats, jackets, hats, gloves etc. which are appropriate for the weather! • No non-band members may sit with the band and band students will sit in their assigned sections at all times. Students may visit concessions/restrooms once each half. Students may also bring a sack dinner. • Students are expected to stay until the game is over (attendance will be taken). • All students should be ready to stand and perform every pep band song the drum majors call up during the game. • Report at 2:45 PM regardless of weather conditions. In the case of inclement weather a game time performance decision will be made by the directors. Next PostNext The 2012 Boutique is November 10th!